Join fellow parishioners and Fr. Rick on a journey to Philadelphia to worship at this historic Episcopal church on Sunday, April 28th. Departure from Lancaster will be at 7:30 AM in order to make the 10 AM Eucharist with arrival back in Lancaster at approximately 3:30 PM. There is a nominal cost to cover van transportation ($25). Lunch can be purchased that day at a parish fundraiser after the service or you are welcome to pack a lunch. You must sign up in advance and spaces are limited. 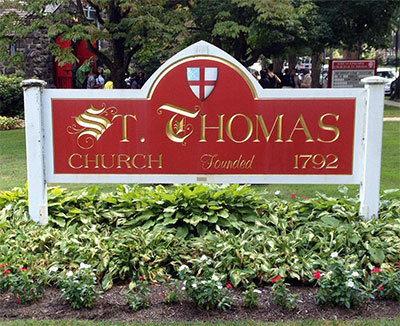 Originally established as the African Church, the African Episcopal Church of St. Thomas was founded in 1792 as the first black Episcopal church in the USA. Now in its 227th year, this vibrant ministry flourishes as an open, Christ-centered community of faith where the Gospel is taught, lived and spread.